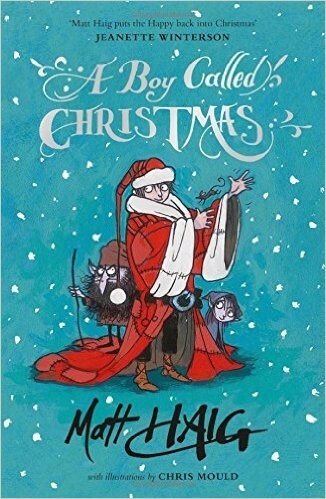 As well as being a best-selling writer for adults, Matt Haig is a gifted spinner of yarns for younger readers, and in this charming novel he tells the merry tale of how a young Finnish boy called Nikolas becomes the Father Christmas we know and love, which is sure to enchant even those beginning to question the magic of Santa Claus. Sprinkled liberally with jokes, and enlivened by Chris Mould’s humorous illustrations, we follow poor Nikolas as he flees his cruel Aunt Carlotta and sets out on a long trek north to find his woodcutter father, who has gone in search of the land of Elves. He is joined on his journey by a reindeer named Blitzen, and a mouse called Miika. A dash of magic ( a ‘drimwick’ or Elf-spell) rescues Nikolas and Blitzen from a snowy death, and they are invited into Elfhelm, the fabled land of the elves … but they find it a sombre place, under the thrall of an evil elf-dictator called Father Vodol, who imprisons the boy. Nikolas and Blirzen encounter a truth-pixie, trolls, and kidnappers on their way to becoming heroes of the Elves, freeing them from the grip of Father Vodol and bringing joy, colour and gingerbread back to Elfhelm! Full of impossible magic and laughter, this full-length chapter book is absolutely perfect to read aloud to 5-7 year olds, or for 7-10 year olds to read alone, and will bring the magic of Christmas winging into your homes!